It's an extremely wet Thursday here today and looks like Friday will be more of the same. Great weather to stay indoors with a good book, or in my case, craft away. Today I've made a card with one of my favourite colour combos combined with one of my favourite things. Come and take a look. If you guessed one of my favourite things was butterflies, you are correct. I've used Butterfly Basics stamps and co-ordinating Butterfly thinlits on this card here. The cardstock used is Basic Black, Bermuda Bay, Whisper White and Dazzling Diamonds Glimmer. I've used the circle framelits to cut out the centre circle and that piece was saved for another card. I used some of the Bermuda Bay sequins on the body of the layered butterfly and a couple more on the feelers which I drew in with a silver marker. The greeting comes from the Itty Bitty Banners stamp set. Thanks for joining me today. 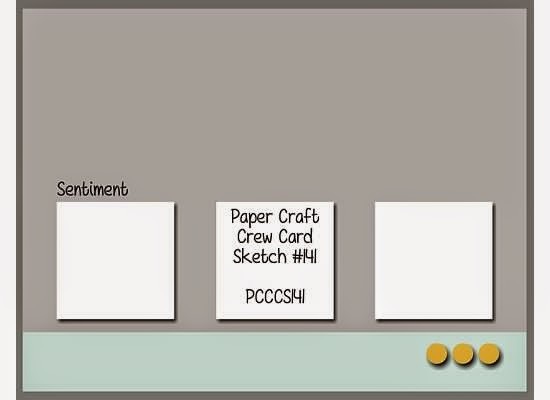 It's Wednesday once again and that means its time for another Paper Craft Crew Card sketch challenge. Here's our sketch below. I decided to combine the Starburst Sayings stamp with Papillon Potpourri and Printed Blooms designer patterned paper here. Come and have a look. The cardstock used is Blackberry Bliss, Whisper White and some Rich Razzleberry for a couple of tiny butterflies cut with the Beautiful Wings die. The ink used is Hello Honey and Blackberry Bliss. I've used the matching framelit to cut the Starburst Happy Day greeting and layered it up on a paper doily from the Artisan Embellishment kit. I also used a piece of ribbon from that kit across the card. Thanks so much for popping by today to see my card. 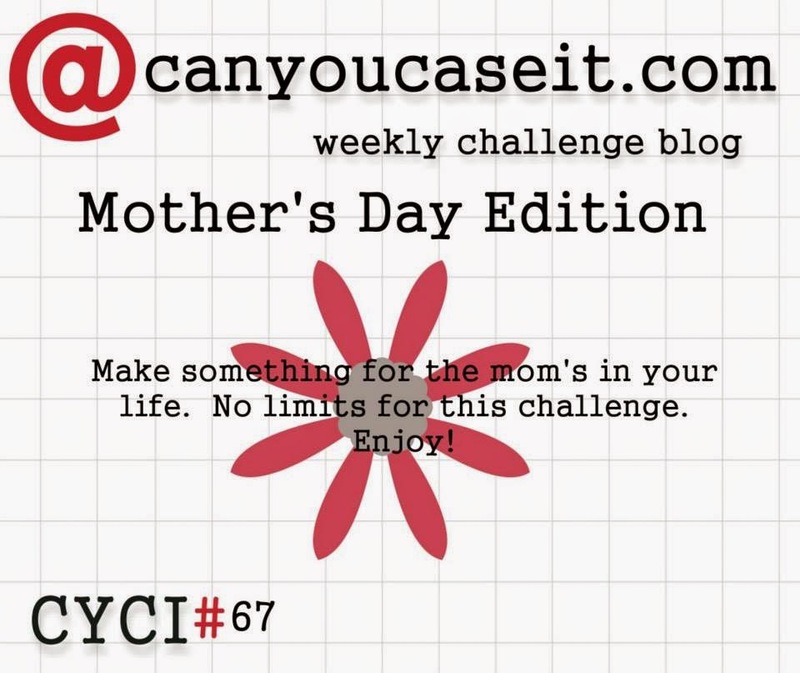 We hope you will join us at the Paper Craft Crew for this week's challenge. Have a great day. Happy Tuesday to you. We've had a different sort of Tuesday today. A late start with no school because of the Parent Teacher interviews held at the High School this afternoon. It allowed us to sleep in which is a rare luxury on a weekday. Today I have a simple card made with the Kinda Eclectic stamp set and the Butterfly thinlit largest die. Come and have a look. The cardstock is Whisper White and Rose Red. The inks are Hello Honey, Mossy Meadow and Rose Red. The greeting is from the vintage stamp set Well Scripted. Here is a full photo of the card. Thanks so much for stopping by today. Hope you have a great day and a very happy Tuesday. While I had the supplies out for yesterday's Mother's Day card I made a second one to use of some of the patterned paper from another sheet of the Painted Blooms paper pack. This paper is so pretty that it really doesn't next much adornment. Come and have a look. The greeting comes from the same vintage stamp set as yesterday called Wonderful Mother and this time I've punched it out and trimmed it with the Artisan Label punch. The cardstock I've used is Sahara Sand, Rose Red, Pool Party & some vellum which was tinted with Pool Party ink. The strip of lace I've used is from the Artisan embellishment kit. Here is the card. I finished it off simply with a Layered butterfly made with the Papillon Potpourri stamp set and matching punches, and also some rhinestones. The ink used on the greeting is Rose Red. Thanks so much for stopping by today. I hope you have a great day. Welcome to another Can You Case It? Challenge. This week is our Mother's Day edition. I wanted to make an Easel card today and because its for Mother's day it just had to be floral. Do you know what goes well with flowers? Yes Butterflies, lol. Come and have a look. I've used the Top Notes die for cutting this shaped Easel card and the Label Framelits for the inner frame combined with the Printed Blooms Designer paper. The cardstock used is Pool Party, Rose Red, Rich Razzleberry, Whisper White and Vellum which sits under the label frame to soften the patterns where the greeting has been positioned. The tiny butterflies were cut with the Beautiful Wings die and the larger one is stamped from the Papillon Potpourri set. The above pic is a closeup. The sentiments comes from a vintage stamp set called Wonderful Mother. I held onto this one because the greeting is such a nice size to work with and a beautiful font. My apologies for not posting yesterday. Friday afternoons are tending to be quite busy now with the Basketball season back on at the Leisure Centre after the holidays. My youngest had 2 games last night because she plays in her U16 Noosa District team and she also plays up in U18's to help make up the numbers and it's good for her, receiving some extra court time. I liked the Paper Craft Crew's sketch so much that I actually made 2 cards with it. The first was posted here as part of the Design Team and this is another simple version. I've used Butterfly Basics and Papillon Potpourri stamps and Printed Blooms patterned paper for this card. Come and have a look. The cardstock I've used is Rich Razzleberry and Pool Party. The ink used was Rich Razzleberry. Today I've made another butterfly card. What a surprise. You all know how much I love them, and how they lift my spirits especially when I'm feeling down. I have only felt like using butterflies so far this week. I've combined my Frosty Glitter Butterfly (an explanation is on Tuesday's post) here with patterned Irresistibly Yours paper which I've brayered green, cut into squares and rounded alternate corners. The cardstock I've used is Basic Black and Dazzling Diamonds glimmer paper. I've used Expressions thinlits for the word Love. Thanks so much for stopping by today. I hope you have a good day. Welcome to another card sketch challenge at the Paper Craft Crew. Here is this week's sketch. I'm using Painted Blooms patterned paper on my card along with Papillon Potpourri and Butterfly Basics. The cardstock is Island Indigo, Basic Black and some Dazzling Diamonds Glimmer paper. I've used the Artisan Label punch in place of the squares on this week's sketch and used it to punch the shape from the Basic Black card then placing it over the patterned paper with dimentionals. The patterned paper was adhered directly onto the Island Indigo base. I have mimicked the sketch layout except for swapping the side the greeting was placed. The Dazzling Diamonds glimmer strip placed on the bottom edge balances nicely the Silver heat embossed greeting from Butterfly Basics stamp set and the Basic rhinestones placed underneath it. A Papillon Potpourri small butterfly stamped in Island Indigo ink finishes off this card. Here is a closer look. I'm trying to get myself back in my happy place with another Butterfly Card. I'm calling this one Butterfly Joy because I've used the Joy framelit from our Wonderful Wreath set on this card and combined it with the Something Lacy background stamp and Papillon Potpourri Butterflies. Come and have a look. I've used my Frosty Glitter technique on my butterflies (explained lower) and the Scallop Border punch. The cardstock used is Basic Black, Whisper White and Dazzling Diamonds glimmer paper. The Joy was cut twice, once from Dazzling Diamonds and once from Basic Black card and adhered as a shadow to help the glimmer stand out. The background Something Lacy stamp was inked with Coastal Cabana and stamped onto Whisper White card. I'm sorry I've been absent a couple of days. I felt the need to have a little break after such a sad week last week and so I gave myself permission to have some time off. The Can You Case It? team also kindly let me have a break from posting a card yesterday as well, but I will share their challenge and be raring to go with a card for them in the next one. I love butterflies as most of you know, so they are the only cards I've felt like making. Today I'm dedicating this card to a friend and I've used a combination of Papillon Potpourri, Wood Panel Background, Expression Thinlits and Irresistibly Yours patterned papers. It's a masculine butterfly card, if there is such a thing. Come and have a look. Thank God its Friday. Its the end of school holidays here and it was also a friends funeral this morning, plus Mum's taxi taking one daughter to and from work and the other to a sleepover this arvo. I didn't really feel like making a card today but it was a good opportunity to use up some bits off my desk. I've made another butterfly card today using the Butterfly Basics stamp set and Butterfly thinlits dies which I combined with a brayered background which has been sitting around for a while from the Simply Irresistible pack and also a little Printed Blooms patterned paper. The cardstock I've used is Basic Black, Pistachio Pudding and Whisper White. The ink used on the background for brayering was Pistachio Pudding and the stamping was Memento Black. I think the green and black combo is quite pretty. Here's the full view of the card. The greeting comes from the Itty Bitty Banners stamp set. I've made a card today for family friend due to recent sad events. Sympathy cards are never easy, especially when its for someone you know well. I won't dwell on it. I'll just show you, firstly a closeup. I've used the largest of the Butterfly thinlit dies for my card and a greeting from the Petite Pairs stamp set. Cardstock is Basic Black and Pistachio Pudding which I've combined with the Sheer Perfection printed vellum. A row of pearls, greeting punched with Curly Label punch and an In Colour embellishment for the butterfly centre and its done. Thanks for calling in today. Have a great day. 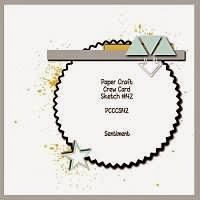 Welcome to the card sketch challenge this week at the Paper Craft Crew. Here is our sketch which we hope you will play along with. I've used the vintage stamp set called Tea shoppe combined with the printed vellum Sheer Perfection. The cardstock used is Rich Razzleberry Pink Pirouette, and Whisper White. I've also used vellum for the vertical banners and the Blossom punch for my flowers. The cup from the stamp set was stamped in Rich Razzleberry ink and fussy cut then layered on a doily. This is a lovely sketch this week and we can't wait to see what you design with it this week. Please make sure you visit the Paper Craft Crew and see what our other designers have created. We hope to see you there soon. Have a great day. It's a friend's birthday today, hip hip hooray. I am trying to be a bit more positive after yesterday's sad news, for its Happy Tuesday, lol. Suzanne is a friend who I met through Stampin Up. She runs her own Stampin Up business with classes and such much like myself, but she lives south of Brisbane. I don't get to see her in person much but we are regularly in contact through Facebook. Don't you love it? I do. I chose to use the single stamp called Blended Bloom for this card and its on a background of Brushed Gold cardstock. I wanted the card to be golden but not be obvious about her age, our age, in fact because we both have a big birthday this year and are the same age, lol. The bloom was coloured with the Pink Pirouette and Daffodil Delight blendabilities and some extra pearls in the centre were added for dimension and also coloured. I've had some sad news today which has completely changed my mind about the card I was going to make, and instead I've made this Thinking of You card for a friends family. A dear lady lost her battle with cancer from our Badminton group and she will be sadly missed. Here's the closeup of the card I just finished. I've used a base of Blackberry bliss combined with Pink Pirouette, and Brushed Gold for the butterfly cut with the Butterfly thinlit medium die. There is a solid Blackberry Bliss layered underneath and its been finished with a fabric flower trim from the Artisan Embellishment kit. I also added half a paper doily to the background. The greeting comes from the Teeny Tiny sentiments stamp set and was punched out with the Word Window punch. I've kept this card simple. Thanks for stopping by today. Hopefully I will have a card to share with you for happier circumstances tomorrow.